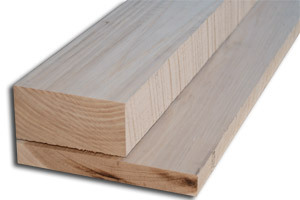 We stock flatsawn cut Hickory lumber. Hickory is among the hardest and strongest woods native to the United States. The wood is commonly used where strength or shock-resistance is important. Hickory is used for all sorts of things. Besides the typical uses like Furniture and Cabinets, hickory is also used for Tool handles, ladder rungs, wheel spokes, and flooring.